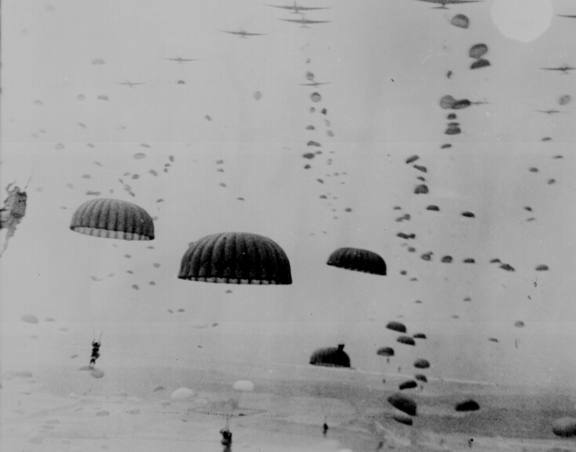 The Paratroopers of World War II were the epitome of the term "the process of elimination". They were all volunteers to a new form of warfare called "airborne". In the U. S. they formed four great airborne division units--the 82nd, the 101st, the 11th and the 17th. Layton Black's story is about the 502nd Parachute Infantry Regiment from the 101st Airborne Division, especially Company 'C' of this regiment. He shares his day-to-day, foxhole-to-foxhole experiences with the 2nd Platoon of his company. Jumping into Normandy on D-Day as Pfc., Black climbs through the ranks by "the process of elimination" all the way to the end of the war in Austria, where he becomes the last First Sergeant of his company. The book took fifty years to write, and will take you back to those wonderful GIs of the 1940's. This book does not dwell on the gore or heroism in war. It does not speak for the acclaim of high rank or military achievements. The author makes the point that the front line soldier won the war; everybody else helped. Fifty of Black's 'C' Company troopers gave their lives; he knew them all. Not one hesitated in his duty. "Every trooper who jumped behind the enemy-infested lines and lived or died," Black writes, "served his country to the hilt." In chapter after chapter the emotion of the combat soldiers shows up in all its forms. Even the game the two Squad Sergeants play at survival has meaning in the scheme of war. You learn that some orders are unfair and hard to obey. But these men are well trained. Sadness and joy march step for step with front line soldiers as the author brings them through the war. His ability to find the humorous in war serves to frame the tragedies that happen throughout. Yet nothing softens the blow of a dead friend. His writing makes these paratroopers so real that in the end you will swear you knew them. The author does not leave out the details that make him look foolish. All was part of a combat trooper's life in a far off land.